Avoid Foreclosure Scams - Mortgage Relief Project (888) 718-0986. The FTC created the MARS rules to help struggling homeowners avoid foreclosure scams. The FTC’s MARS Rules Outlaw Advance Fees and False Claims, Requires Clear Disclosures. Homeowners will be protected by a new Federal Trade Commission rule that bans providers of mortgage foreclosure rescue and loan modification services from collecting fees until homeowners have a written offer from their lender or servicer that they decide is acceptable. The measure comes as part of the FTC’s mission to help homeowners avoid foreclosure scams. The FTC is issuing the The Mortgage Assistance Relief Services (MARS) Rule protects distressed homeowners from mortgage relief scams that have sprung up during the mortgage crisis. The rules are aimed at bogus operations that falsely claim that they will negotiate with the consumer’s mortgage lender or servicer to obtain a loan modification, a short sale, or other relief from foreclosure. In addition, many of these operations pretend to be affiliated with the government and government housing assistance programs. The FTC has brought more than 30 cases against operations like these, and state and federal law enforcement partners have brought hundreds more. All provisions of the Rule became effective January 31, 2011. Attorneys are generally exempt from the rule if they meet three conditions: they are engaged in the practice of law, they are licensed in the state where the consumer or the dwelling is located, and they are complying with state laws and regulations governing attorney conduct related to the rule. In addition, attorneys must meet a fourth requirement to be exempt from the advance fee ban. They must place any fees they collect in a client trust account and abide by state laws and regulations covering such accounts. In almost all cases, foreclosure defense attorneys REQUIRE an initial fee to begin representation. This is not considered an “advance” or “up front” fee, as long as it complies with the conditions listed above. The most significant consumer protection under the FTC’s new rule is the advance fee ban. Under this provision, mortgage relief companies may not collect any fees until they have provided consumers with a written offer from their lender or servicer that the consumer decides is acceptable, and a written document from the lender or servicer describing the key changes to the mortgage that would result if the consumer accepts the offer. Furthermore, the companies must remind consumers of their right to reject the offer without any charge. As a result, the industry has become an unpalatable business proposition for any non-attorney. if companies tell consumers to stop paying their mortgage, they must disclose that they could lose their home and damage their credit rating. • the amount of money a consumer will save by using their services; or the cost of the services. In addition, the rule bars mortgage relief companies from telling consumers to stop communicating with their lenders or servicers. Companies must also have reliable evidence to back up any claims they make about the benefits, performance, or effectiveness of the services they provide. Click here for facts about mortgage consumers’ rights (FTC website).The Federal Trade Commission works for consumers to prevent fraudulent, deceptive, and unfair business practices. Towards this end, they provide information to help spot, stop, and avoid them. To file a complaint in English or Spanish, visit the FTC’s online Complaint Assistant or call 1-877-FTC-HELP (1-877-382-4357). The FTC enters complaints into Consumer Sentinel, a secure, online database available to more than 1,800 civil and criminal law enforcement agencies in the U.S. and abroad. 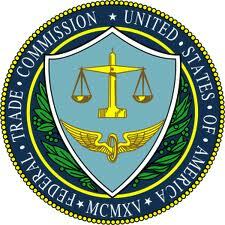 The FTC’s website provides free information on a variety of consumer topics.